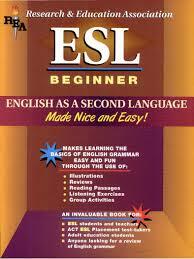 ESL is explored through the democratic process of equal opportunity for ESL students. In your English as a Second Language (ESL) research paper, use the principles of democratic education to examine the current status quo of English as a Second Language or ESL education. Paper Masters recommends that your English as a second language research paper should use the educational theory espoused by John Dewey, and to a lesser extent, his ideological successor, Paulo Freire to examine ESL theory. The chief argument explored in your research paper should be based on the fact that the current system of ESL education that is in place in the American public education system does not maximize educational democracy, and that specific changes should be made in order to ensure that ESL students and curriculum are guaranteed the widest range of equal opportunity possible. Based on personal observations in field experience, it seems reasonable to argue that ESL instructors face notable challenges when it comes to providing students with support in the classroom. When ESL students fall behind grade level in a specific subject, it can be difficult for educators to help students effectively catch-up. In addition, many educators appear to be overwhelmed by the number of ESL students in the classroom. In most instances, ESL student have different proficiency levels, making it difficult for instructors to provide uniform instruction for all students. A critical review of what has been noted about these issues in the literature suggests that these issues encountered in practice are not new. However, finding solutions to these problems in terms of providing instruction can be a notable challenge. Seeking to determine the specific methods that other scholars have used to address some of these issues, it becomes evident that scaffolding appear to be a viable tool for improving outcomes for learning in the ESL classroom. Specifically, reading skills using the web can be improved through the use of scaffolding. According to these authors, educators can plan lessons that “select and sequence web pages and tasks so that learners move from explicit instruction to production with help, to independent production”. Other scholars examining the specific techniques the educators can use to improve outcomes for ESL students assert that collaborative programs in the school can help educators mainstream ESL students. In particular, transition classrooms should be developed to help students develop the skills that they need to reach grade level in specific subjects. These transition classes need to be developed with the collaboration of expertise from various fields to promote both language and subject development simultaneously. Even though this will mean more work for educators it can provide better outcomes for ESL students unable to achieve particular subject goals. Nowhere is the need for a balanced program more apparent than in the case of educating children whose native language is not English. In ESL instruction, it is easy to observe the interconnected ness of speaking, reading and writing; a need which, segregated skill instruction, can never fully improve. ESL Standards provide that student should be able to use English to achieve academically in all content areas and social situations; this requires a knowledge of academic English, formal and informal language. Theme-based integration which offers activities to strengthen and practice language skills while covering content material such as social studies and offers students exposure to authentic language is successfully used throughout the most innovative ESL programs. While segregated, sheltered instruction may be necessary to remediate specific skills and offer direct instruction in the rules of English, it should not become the primary form of instruction. Second Language Acquisition research papers evaluate the theories that have been applied to the understanding of second language acquisition. Speech Language Pathology Research Papers discuss how to order a power ... that have been applied to the understanding of second language acquisition. Demonstrative Teaching Method Research Papers on Effective teaching methods for Classroom procedures. ESL Instruction research papers on Education Research topics show that English as a second language is important to TESOL. Charter Schools Research Papers - ESL Students and Curriculum research papers discuss two major trends that ... American students today attend schools with predominantly minority student. Philosophy of Education Research Paper - Bilingual Education - Does bilingual education only go to further the isolation of ESL (English as second language) students? Paper Masters writes custom research papers on ESL.